The island of Catan is now covered with cities and settlements. It's time to go on an adventure and enrich yourself! Harvest gold rivers, hawk freshly caught fish and trade with desert nomads. With the help of the Knights, protect the coast of Catan and repel the barbarian invasions. Finally, make every effort to restore the splendor of the castle that houses the Catan Council. Be careful this game is an extension of Catan: Marins ... + 1 more+ 1 more and cannot be played alone. 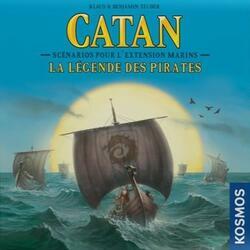 To be able to play it you must have a copy of the game Catan: Marins ... + 1 more+ 1 more.